Has it been awhile since you’ve used up your vacation days at work? And don’t forget, even though you might live in the Valley (Treasure, not Garden) you might not see the sun because of the frequent winter inversions down there, but it’s usually sunny up here when you’re having gloomy days! If so, it’s time for you to take a vacation as soon as possible! Not only will a vacation be fun for you and your family. However, it will also provide you with a long list of health benefits. Check out a few of those benefits below. No matter what you do for a living, there’s a good chance there’s some stress associated with it. Between answering emails and crunching numbers, it can feel like the weight of the world is on your shoulders. When you take a vacation, all of that stress will suddenly melt away and allow you to enjoy life for a while. Best of all, the stress will stay away, for at least a little bit, once you return to work. Your mind and body will feel recharged and revitalized. You might think you’re focused on a daily basis, but the truth is that most people have so much going on at once that they aren’t able to focus on anything. When you get away on a trip, it will reset your brain and help you to focus better. You will then likely spend a lot of time focusing on the right things as you vacation rather than spreadsheets and other tedious tasks at work. It will feel good to experience that level of focus again. If you struggle with depression, you will likely find that frequent vacations will help keep it at bay. While vacationing won’t cure depression, it will reduce some of the symptoms you feel with it. This will be better for your mind and body and will make you feel happy. You’ll also enjoy the weeks leading up to your vacation as the anticipation builds. 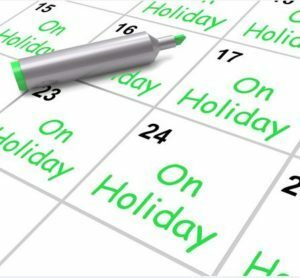 Are you ready to schedule a vacation after hearing the benefits of going away? 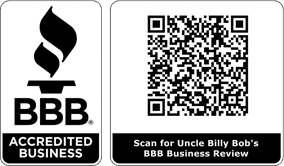 Uncle Billy Bob’s would love to host you and help you unwind. Call us at 208-462-5BOB today to hear more about the accommodations we can provide during your next vacation.